Many cities in Europe have problems because they exceed the current limits for air pollutants. Some of them are even considering banning diesel vehicles in general to batten down the hatches. In this context the European legislation has a unique and very effective instrument for detecting high emitting vehicles in use: the periodic vehicle emission test. This method identifies failures and/or manipulations of emission systems and forces the vehicle owner to perform repair or maintenance work. But unfortunately, the current periodic emission test is no longer applicable to modern diesel and petrol vehicles. In fact, the current test procedure was developed over 25 years ago and was only slightly adapted for the development of modern vehicles. This means, for example, that a EURO 5 diesel vehicle would pass the periodic emission test even if the threshold in question is removed and smoke emission increases by 500 times. In addition, important pollutants like nitrogen oxide (NOx) cannot be measured at all. As a result, manipulation or even normal wear and tear of the emission systems cannot be detected during the pe-riodic emission test. In practice, this means that millions of vehicles in Europe are considered big polluters, with a dramatic negative impact on air quality. The EC estimates that only 5% of these vehicles are responsible for at least 25% of all emissions from combustion engine vehicles. If we were able to detect large polluting vehicles using a modern emission test, we could significantly reduce emissions. The European-wide CITA SET I study has shown that, in the short term perspective, it would be very helpful to introduce a mandatory tail pipe test and OBD reading in combination with more stringent thresholds. This could be implemented with the current test procedures and the equipment. Germany, for example, is following this system from this year. The CITA SET II study is dealing with a measurement procedure for NOx emissions. The final report is expected in the coming months. The type and amount of pollutants in new vehicles have changed significantly over the last years. For example, the size of particulate matters (PM) of diesel vehicles is becoming smaller and smaller, and a highly efficient engine (e.g. EURO 6) produces much more NOx than a EURO 4 engine. Therefore, very efficient — but also expensive — after-treatment systems are necessary to clean the emissions of modern vehicles. Additionally, vehicles with gasoline direct injection emit as many PM as diesel vehicles, which makes a particulate emission test just as important for petrol vehicles. The first results of the CITA SET II study demonstrate that in order to conduct a proper evaluation, especially of NOx emissions, a simple loaded test in combination with a comprehensive and standardised OBD reading is very promi-sing. If we want to maintain the compliance of modern vehicles with emission standards at a high level throughout the whole life cycle, we need a modernised periodic emission test. As long as defects or manipulation are not detected, nobody will repair it. 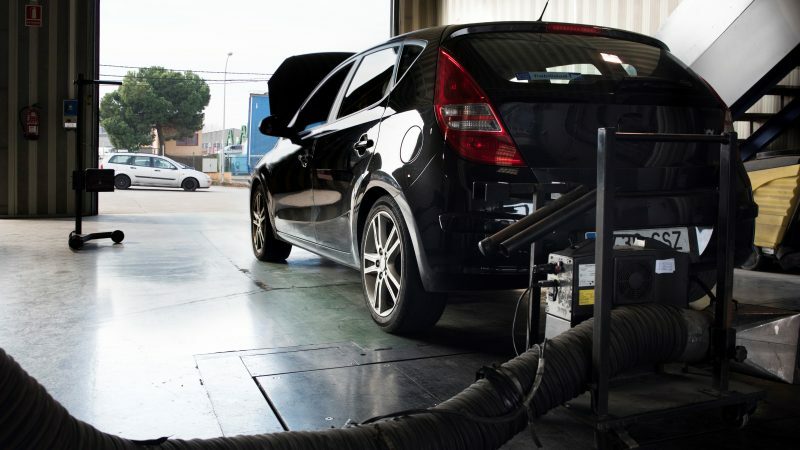 According to a cost-benefit analysis, this new approach for an emission test will not automatically increase the costs for the car owner: even if the measurement equipment became more costly, the most expensive part of an emission test will always be the inspector’s working time. Therefore, if the test could be conducted faster than today, it could compensate additional costs for the equipment. If we really want to improve air quality in urban areas where, for many years to come, the combustion engine will be the most widespread propulsion system, we must conduct proper and valid emission tests.